Beautiful And Miraculous Colors Of Green Spring Landscape At Sunset Of Tuscany, Italy. Фотография, картинки, изображения и сток-фотография без роялти. Image 44353930. 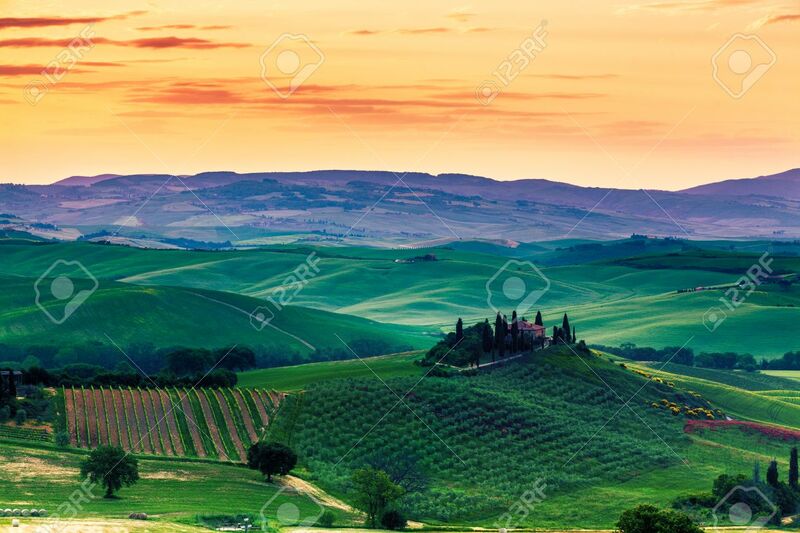 Фото со стока - Beautiful and miraculous colors of green spring landscape at sunset of Tuscany, Italy. Beautiful and miraculous colors of green spring landscape at sunset of Tuscany, Italy.